No 96 was in January 1872 fitted with a full cab, improved sanding equipment, had a steam dome placed over the firebox, had the water capacity increased from 300 to 410 gallons by extending the side tanks and was finished off by a copper rimmed chimney being fitted. These modifications increased its weight to 19 tons 8 cwt. Now named ‘Kemptown’ it was sent to Brighton to be used on the Kempton branch which it did until June 1874. 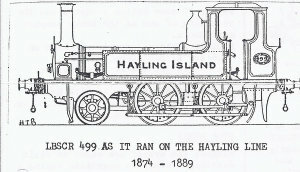 It was re-numbered 115 and named ‘Hayling Island’ and transferred to Fratton loco shed for use on the Hayling Branch. No 115 was renumbered 359 in June 1877 and was again re-numbered 499 in January 1886. 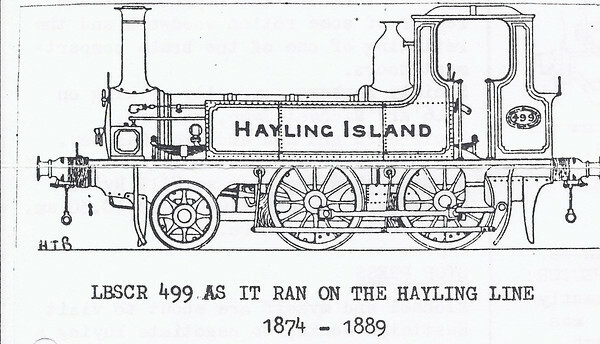 No 499 as it is now was, left the Hayling Branch service during 1889 after new boiler tubes and firebox had been fitted in 1888. When 499 left the branch it was taken into the loco works at Brighton for re-building by William Stroudley the locomotive superintendent. 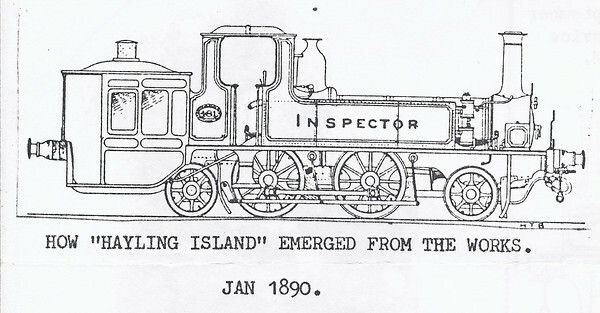 This small tank engine emerged from the works as a 2-4-2 engine numbered 481 and named ‘Inspector in January 1890. It had a small saloon permanently attached to the rear of the coal bunker and was used as a small self-propelled coach to inspect new works, sites of track relaying and other such sites by the engineers. 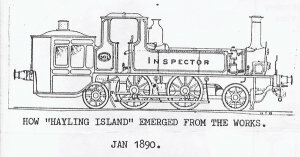 The engine was rarely used after its re-build and was withdrawn from service in March 1898 and sold for scrap in February 1899 with a total mileage of 292,694 miles amassed during its 29 year life.